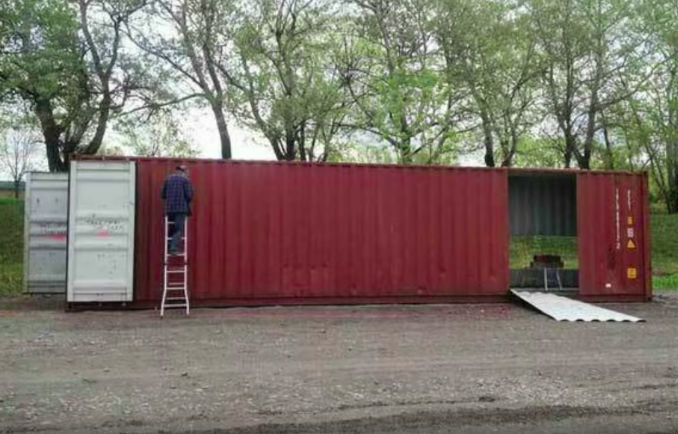 The inside of this home made out of sea containers is extraordinary! Claudie Dubreuil, a Canadian woman, has built a very special house out of four sea containers that cost only 3000 euro per container. What she made out of them is absolutely beautiful. We’d definitely like a home like this, how about you? What she managed to make out of four simple sea containers is exceptional! As a general contractor, Canadian Claudie Dubreuil makes a nice living out of building condos and traditional wood townhouses. Unfortunately, building these types of houses didn’t provide her with enough of a creative challenge, because the jobs often came with limited money and safe, everyday designs. So, when it came to designing and building her own house, she didn’t choose the safe option. Instead, she picked a very special and modern approach to her new home. On the next pages, you can find out more about Claudie’s house and see the amazing pictures!